The report published yesterday details how and why checkpoints were faked. GARDA SUPERINTENDENT NOEL Cunningham has said the latest report into the breath test scandal revealing that there may be another 400,000 falsified tests “could be described as a guesstimate”. President of the Association of Garda Superintendents Noel Cunningham’s comments come after the Policing Authority published a report, carried out by consultancy firm Crowe Howarth, into the breath test scandal which revealed that there may be another 400,000 falsified breath tests. The report, which was published yesterday, looks at both the breath test and the fixed charge notice/summons scandals. It also detailed how and why checkpoints were faked. Speaking on RTÉ Radio One’s Today with Sean O’Rourke, Cunningham was adamant that the latest report might not be accurate. “They looked at a longer period, they went back then to when the breath tests started, so that influenced that number. I saw in the report in relation to the additional 400,000 and I think at best it could be described as a guesstimate… and it should be read like that,” Cunningham said. He went on to deny that there was implicit pressure put on gardaí to perform checkpoints and inflate numbers, despite contrasting findings in the report. “I don’t accept that, I accept that there was implicit pressure on members of the Garda Síochana to perform the checkpoints, because we have to look at what our function here was, our function was as we said back in May, to reduce drink driving and certainly there was implicit pressure to make sure that checkpoints were done,” he said. I know it was said that it was in some policing plans to increase the number of actual breath tests but it certainly wasn’t one that I was familiar with, I’m sure it exists because Crowe Howarth have found it. The report found that many members of the force “indicated that the number of checkpoints scheduled during a tour of duty (10-hour patrol shift) could be up to three or four, regardless of the time of day”. However, not all of these checkpoints took place. A number of garda members in a busy urban station told the authority that they “were frequently under significant pressure when on patrol, and at any given time might have six or seven backed up calls awaiting their response”. They said they simply couldn’t manage to perform all of the checkpoints authorised, due to this pressure. They had developed a “habit” of “entering erroneous data onto Pulse”, says the report, entering false data in respect of checkpoints not operated. While garda health and safety requirements said a minimum of two members should be present at a checkpoint, in some rural areas up to 80% of patrols were undertaken by a single member. Some gardaí said that management would frequently schedule checkpoints knowing they could never be carried out. In response to O’Rourke’s questions about what should happen to those, if identified, who had claimed to set up checkpoints that did not happen, Cunningham said that while they should be dealt with, he wasn’t sure what value it would add given that it would be an expensive process. “If we’re going down the road of dealing with this then right across the board that is going to be a very long term, it’s going to be extremely expensive and I’m just unsure what it will arrive at the very end, what will be derived from it, what value added will come from it,” Cunningham said. Minister for Justice Charlie Flanagan has said that disciplinary action will be taken where there is evidence of wrongdoing in relation to the scandal. “Yesterday’s report once again underlines what has been a particularly bleak chapter in An Garda Síochána. 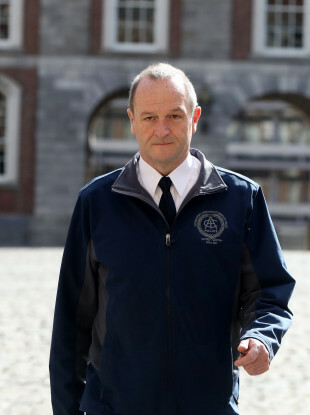 An unacceptable catalogue of major deficiencies and an unacceptable litany of instances of very bad behaviour on the part of the gardaí,” Flanagan said. There is a process underway under assistant commissioner Michael Finn where he will assess the situation as far as responsibility is concerned. Yes, it is very important that where there is evidence of wrongdoing that there would be certain culpability in that regard and that there would be a process to ensure that disciplinary action will be taken. Earlier this year, an internal report authored by Assistant Commissioner Michael O’Sullivan revealed a discrepancy of more than a million breath tests over an eight-year period. The report into Mandatory Alcohol Testing (MAT), which was published at the start of September, found a discrepancy of over 1.4 million between the number of tests counted on the Garda PULSE system and the number actually registered by the force’s Dräger breathalyser devices. This figure, which accounts for the period between 2009-2017, represents a 71% disparity between the number of tests recorded and those actually carried out. It was reported earlier this year that between 2011 and 2016, just over 933,000 false breath tests were recorded on Garda PULSE systems. However, it was subsequently revealed that a further 500,000 false breath tests were recorded but not carried out. Email “Garda Superintendent says new report of 400,000 more falsified breath tests 'could be described as a guesstimate'”. Feedback on “Garda Superintendent says new report of 400,000 more falsified breath tests 'could be described as a guesstimate'”.